Our Boise dentists treat all types of gum diseases but our focus is on preventing gum or periodontal disease by providing our clients with the best possible dental health care. If we uncover the beginning of gum disease in a general exam we begin immediate treatment to control the disease as quickly as possible. It is important to diagnose and treat periodontal disease early before it progresses and causes tooth and bone loss. We recommend regular dental hygiene and exams to monitor the health of your teeth and gums. Early treatment generally consists of a deep cleaning that includes deep scaling and root planing to get rid of the bacteria in those hard to reach places. Gum disease begins when tartar and bacteria under the gum line lead to an overgrowth of bacteria causing an infection. As the body fights the infection, the gums become irritated and swollen – affecting your dental health. Pockets form between the tooth and the gum, making plaque harder to remove. As the disease advances, bone damage occurs and can lead to tooth loss. In some advanced cases, gum disease treatment may include surgery which we can perform right here in our office in Boise. How Does Gingivitis Affect My Dental Health? This is the mildest form of periodontal disease that affects your dental health. The gum becomes inflamed. The space between gum and tooth deepens, forming a pocket. Gums may become red and swollen, or may bleed when probed. Or, there may be no symptoms. Gingivitis can often be reversed with dental cleanings and regular brushing and flossing. Left untreated, it can progress to periodontal disease. With periodontal disease, infection and inflammation spread to the bone supporting the teeth. Ligaments break down and the gums may recede (shrink back). Pockets deepen and can be difficult to keep clean. Redness, swelling, and bleeding may develop or worsen. Bacteria multiply, and infection begins to destroy the bone. As bone is destroyed, teeth may start to feel loose. As gum disease advances, pockets deepen even more and can fill with pus. Around the roots of the teeth, the gums may start to swell. Bone loss continues. The teeth may feel sensitive to heat or cold, and may hurt when brushed. Teeth loosen due to loss of bone and ligament. In some cases, teeth may need to be removed to keep periodontal disease from spreading. 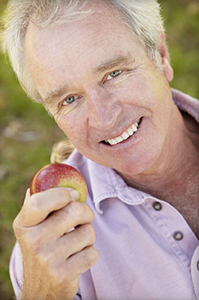 Questions about gum disease? Looking to schedule a consultation? Whatever you need, feel free to call, text, or contact Blaisdell Family Dentistry in Boise, ID. We happily serve patients throughout the Meridian and Eagle, ID area.